Publisher(s): Tecmo Koei America Corp. Box Text: And thus, the story of how it all began. - There once stood a small kingdom, Arland, on the edge of a massive continent. 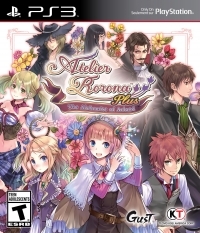 In this kingdom was Rorona Frixell, a girl who had suddenly found herself in charge of an Alchemy Atelier. Experience the long-awaited renewal of “Atelier Rorona”! • Test your skills in additional stages and against new enemies! Share data and progress with “Atelier Rorona Plus” for the PlayStaion Vita system! 05-17-2017 silverbow Box Text And thus, the story of how it all began. - There once stood a small kingdom, Arland, on the edge of a massive continent. 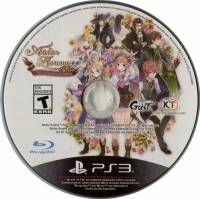 In this kingdom was Rorona Frixell, a girl who had suddenly found herself in charge of an Alchemy Atelier. The "Alchemist of Arland" is about to begin... Experience the long-awaited renewal of “Atelier Rorona”! • Featuring brand new 3D modeling & graphics • An engaging and intuitive synthesis system • Battles in which tactics and coordination matter more than ever • Test your skills in additional stages and against new enemies! 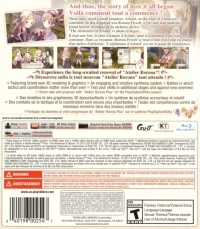 Share data and progress with “Atelier Rorona Plus” for the PlayStaion Vita system! This is a list of VGCollect users who have Atelier Rorona Plus: The Alchemist of Arland in their Collection. This is a list of VGCollect users who have Atelier Rorona Plus: The Alchemist of Arland in their Sell List. This is a list of VGCollect users who have Atelier Rorona Plus: The Alchemist of Arland in their Wish List.